Cop Car is an independent film featured in very few theaters, but is one of the new films, luckily for me, to be almost immediately released in digital formats. The film is relatively simple one featuring a small cast with two children at the center of it all. It presents itself through every turn with a sense of wickedness and builds tension ever so slightly to craft a taut thriller. 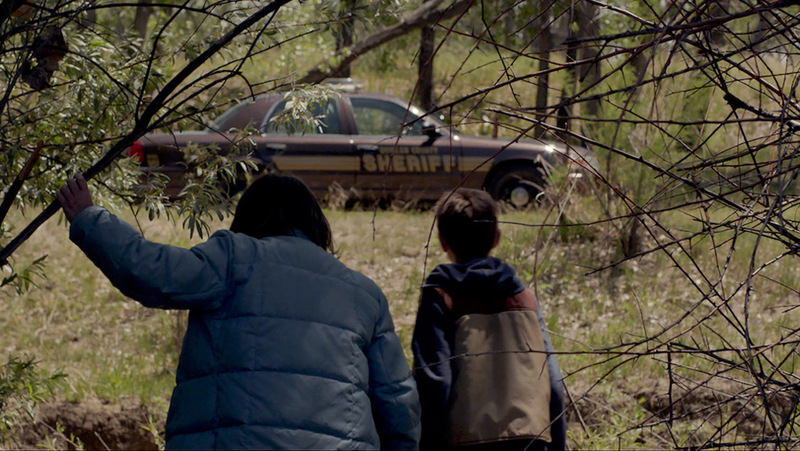 The film opens with the two boys, Harrison (Hays Wellford) and Travis (James Freedson-Jackson), roaming through the open fields, seemingly running away from home, until they stumble upon an abandoned cop car. Though very nervous at first, the boys act as every kid would and begin to investigate the car. Things get progressively worse (or better if you’re the boys), as they actually begin to drive the car wildly around. Of course someone isn’t too happy about this, as Sheriff Kretzer (Kevin Bacon) has stashed something crucial and dangerous in the trunk. And that’s basically the premise of the story. We’re never told why the boys are leaving. We are never told the backstory of why this sheriff is doing the dastardly things he does. The story is simply in the moment of what will happen between these characters in this suspenseful game of cat and mouse. 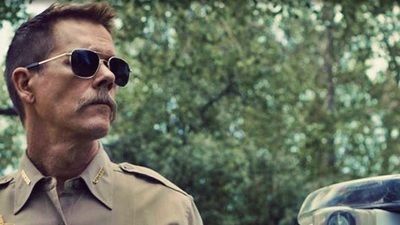 Now I won’t say Cop Car jumped on my radar right away, in fact the film itself wasn’t what made me interested in seeing it. No instead the immediate grab for me was in fact the director. For those who don’t know, Spider-Man is getting another reboot and the director was recently announced to be none other than the director of this small film, Jon Watts. Watts is able to put forth an effort with a very Coen brothers feel, featuring dark and twisted comedy throughout. He gets the best out of the child actors and manages to make their decisions and dialogue feel like what an actual kid might say. The camerawork is pretty great, using long shots that present a absurdity to the film or even the more intimate close-up at all the right times. As said before, the two kids in the film actually play their parts well. They don’t act way too old and make all the stupid, naïve decisions that kids would make. And of course Kevin Bacon as the villainous sheriff is the clear winner here. The actor’s icy, manipulative performance is a fantastic performance to watch, as he continues to be cunning and quick on his feet through every obstacle on his way to retrieving his stolen vehicle. So what did you think of Cop Car? Have you seen it, are you interested in seeing it, or have you even had the chance to see it? Sound off below with your comments or feedback and remember to come back for weekly reviews.